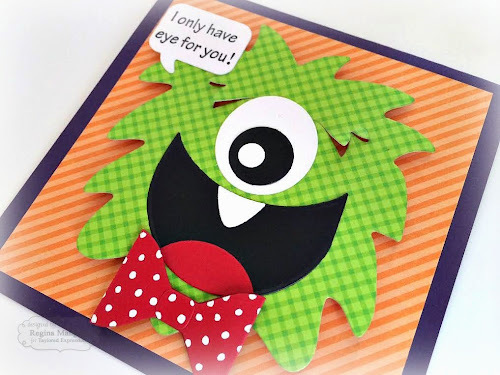 The Stampin' Bean: Taylored Expressions Release Day: I Only Have Eye for YOU! Taylored Expressions Release Day: I Only Have Eye for YOU! It's Release Day at Taylored Expressions! 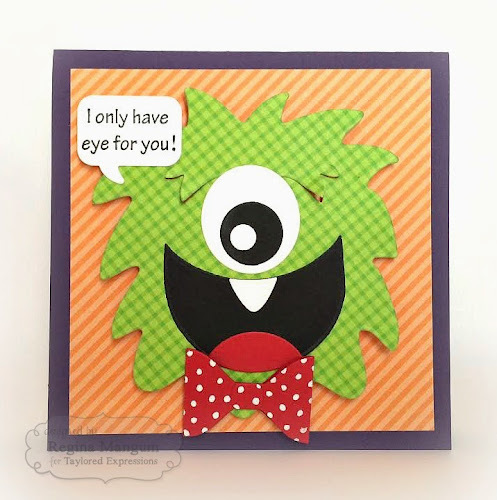 I am so excited today because I got to grab a few moments over the last week to play with some new release products and I'm featuring the new Sack It - Monster dies! For my project, I decided to make a pair of "his" and "her" cards. I die-cut all the pieces I would need for the cute monsters using card stock and patterned paper. I decided to leave the horns off my "boy" monster and give him just one sweet tooth. I love how happy he looks! 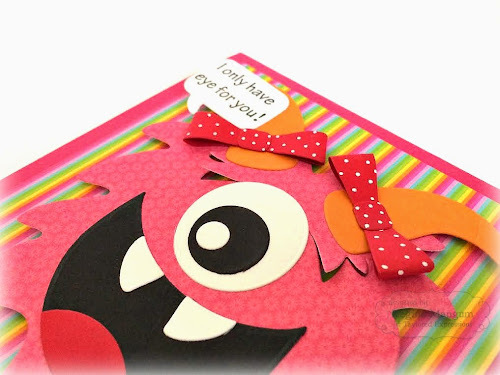 For both cards, I used a sentiment from Love Monsters that I thought was pretty perfect and put it inside a Say What? Conversation Bubble. Isn't he darling? Using some red card stock and a white paint pen, I created a fun bow tie using the Mini Mix & Match Bows. Next up is the little "girl" monster. For her, I left the horns on, specifically so that I could give her a couple of cute bows using the Mini Mix & Match Bows, which are sized just right for her to have a couple of "pig-tails." I hope you enjoyed my project today. Be sure to visit the Baker's Dozen blogs today for some serious eye candy. 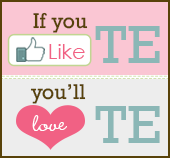 All new products are now available in the TE Store! 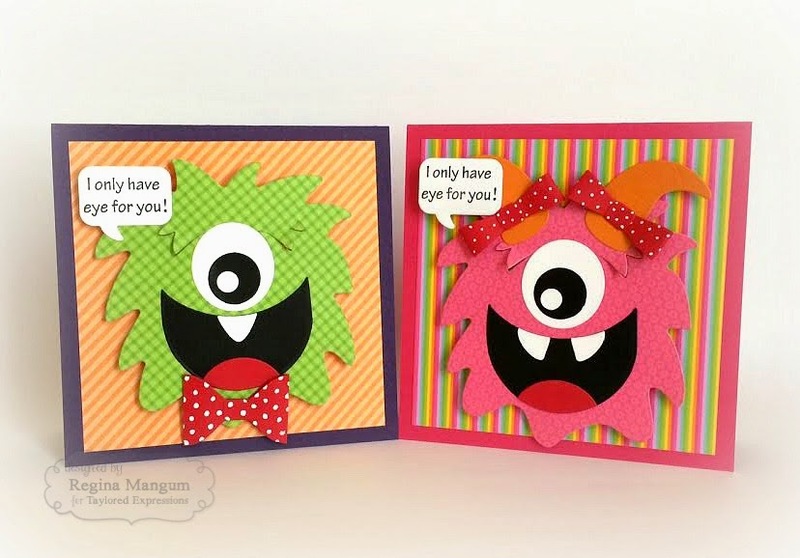 love how you made a boy & girl monster - super cute, Regina! 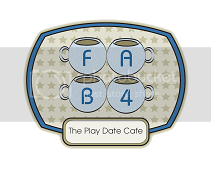 These are crazy cute! So fun!